I am a horrible blogger! Once school kicks back into session, I find that my time is limited for blogging. Despite the busyness, we've had a great January and February. I'm glad the warmer weather is right around the corner. We sure got the snow this year. I enjoyed it for about one day and after that, it was a wet mess! The kids had a great time sledding down some of the big hills. 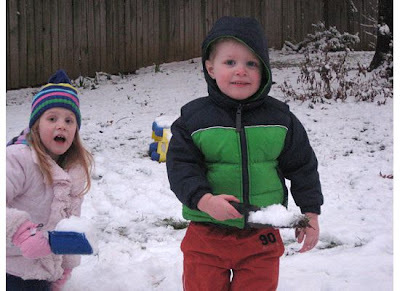 Next year, I will definitely invest in outdoor snow clothes. At the end of January, I surprised Laura with a trip to American Girl in Dallas. We met my mom, my aunt and her grandaughter for a weekend of fun! I told Laura we were going to Little Rock for a girl's night out and she quickly bought into that idea. On the way down, I told her I needed to make a quick stop at the airport to go to the bathroom. She was very concerned because you could only go to the airport if you were flying somewhere. Laura is a major rule follower! Once I popped the trunk to get our luggage, she knew we were going somewhere. When we got to Dallas, I told her we needed to go outside to get "our car". She thought it would be a limo! Ha--my mom's van pulled up and out popped Aunt Judy and we told her we were having an American Girl weekend! We shopped at the AG store and ate dinner there. It was a great memory and I enjoyed spending time with just the girls! Laura has been doing great at school. She is an awesome reader and I find her many days after school laying in her bed reading. I love it! 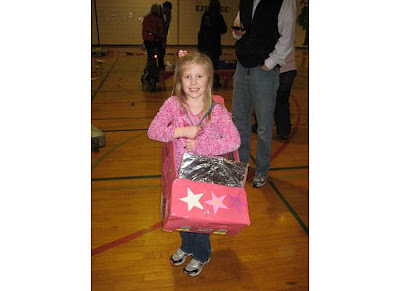 This is a picture from her box car derby at school--she won the race for her heat. It was a super cute event. She also did Upward Cheer the past couple of months. I really am a fan of Upward programs. It is nice to incorporate scripture and being a good team player while you do a sport. Grant turns three in two weeks! Crazy to think that he is that old! I will have to say that "two" was a very challenging year! He tested all limits. I have noticed in the past two months that he is so verbal. He can talk in complete sentences and he is a really really funny kid! We are just now starting potty training and that is going decently well. He is doing great at MDO on Tues/Thurs. He got moved up to the older 2's in January and that has been a wonderful move! He is not getting into time out and just doing much much better. Love my sweet boy, Grant! Annie: She is a puppy still and we are working on not digging in the yard right now-which is killing Jim b/c he loves his yard! And the snow and rain make her a huge wet mess. I've been cleaning her paws several times a day! We still love her though--she is an excellent play mate for Grant! They get along quite well! Yay. Happy for the update! Love the pics from your trip with Laura. That is such a great memory for you to share. I LOVED, LOVED, LOVED your updates! Miss you, My Friend. I can't believe how much both of your kids have grown. They are beautiful/handsome. Annie's so cute, too! 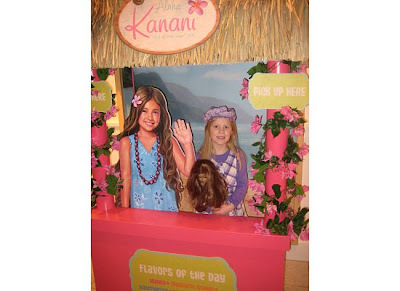 :) The American Girl surprise weekend is so cool. Glad you had fun and made those memories together.